Miller,James H.2003. 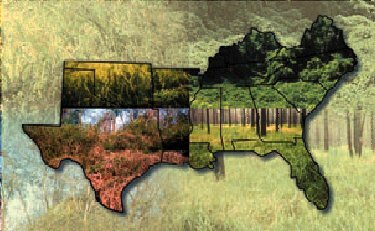 Nonnative invasive plants of southern forests: a field guide for identification and control. Gen. Tech. Rep. SRS-62. Asheville, NC: U.S. Department of Agriculture, Forest Service, Southern Research Station. 93p. Invasions of nonnative plants into forests of the Southern United States continue to go unchecked and unmonitored. Invasive nonnative plants infest under and beside forest canopies and dominate small forest openings, increasingly eroding forest productivity, hindering forest use and management activities, and degrading diversity and wildlife habitat. Often called nonnative, exotic, nonindigenous, alien, or noxious weeds, they occur as trees, shrubs, vines, grasses, ferns, and forbs. This book provides information on accurate identification and effective control of the 33 nonnative plants and groups that are currently invading the forests of the 13 Southern States, showing both growing and dormant season traits. It lists other nonnative plants of growing concern, control strategies, and selective herbicide application procedures. Recommendations for preventing and managing invasions on a specific site include maintaining forest vigor with minimal disturbance, constant surveillance and treatment of new unwanted arrivals, and finally rehabilitation following eradication. Keywords: Alien plants, exotic plant control, exotic weeds, herbicide weed control, integrated vegetation management, invasive exotic plants, invasive nonindigenous plants, noxious plant control.